You are at:Home»News»Coming soon – US M54 truck and M48 AVLB bridgelayer in plastic! I’m over the moon to learn that there are a couple of kits coming up to add to my collection of Vietnam War era models. 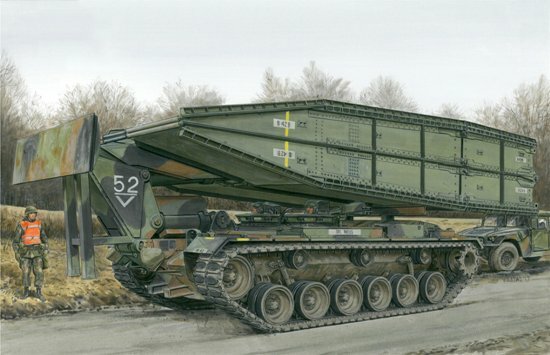 The first is a M54A2 5 ton truck from AFV Club and the second is a M48 AVLB bridgelayer from Dragon. AFV Club M54A2 5 Ton 6×6 Cargo Truck: The arrival of a M54 truck opens up many possibilities for conversion to a Vietnam gun truck. Several manufacturers offered conversion kits for AFV Club’s M35 2.5 ton truck but in reality those gun trucks didn’t see as much service as the M54 since the extra weapons, armour and ammo overloaded the M35 making it difficult for them to keep up with the convoys they were escorting. Until now the only way of building an M54 has been converting one of Italeri’s modern trucks with either parts from a M35 and scratchbuilding parts like the bonnet and front wings or using a Real Model’s conversion kit. Not difficult but tedious. 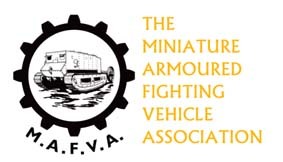 The images released by AFV Club follow its now established practice of showing each part in a different colour giving modellers a good idea of what’s in the kit and the level of detail. No prices available as yet. Just for reference, this is my take on an M54 Vietnam gun truck made from a modern Italeri truck kit and the Real Models conversion… with LOTS of scratchbuilt parts. I have lot’s of info available if any members want it. The website shows some computer renderings of the sub assemblies and notes that it can be assembled stowed, raised or in any position in between. It doesn’t say if it actually operates though. You may have to fix it in position. This will be a welcome addition for fans of modern armour as the only kits available up to now have been Revell’s 1/40th scale version with some rather ‘suspect’ parts and primitively moulded figures or the full resin kit from Germany. A great model but pretty expensive (however judging by its size, don’t expect the Dragon kit to be cheap!). Great diorama potential though! More details as they become available.